We wanted real fruits and veggies, protein, and fiber from whole foods, not powders, that we could eat when and where we were in our busy lives. 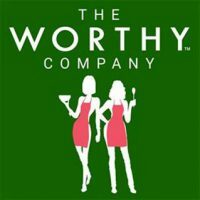 So, we created Worthy Blends and launched The Worthy Company in 2016. We’re so grateful to be doing what we love, surrounded by amazing people, we started Worthy Projects to do our part to help others feel their Worthiest.